The active player portion of our 2016 season review comes to a close today with the random pitchers pretty much no one expected to see in pinstripes this summer. There are a few of these guys every year, and really, every team needs them. Sometimes the best option is to call up a veteran with no long-term future in the organization so you can run him into the ground for a few weeks. That sounds harsh, but it happens all around the league, and these guys would rather chew up undesirable innings in the big leagues than sit in the minors. These guys aren’t kids. They’re journeymen either trying to hang on and extend their careers, or get to the big leagues for the first time and lock in that sweet affordable health care for life. Here are the random journeyman relievers who found themselves with the Yankees in 2016. None of these spare part arms had more success this year than Bleier, who the Yankees signed as a minor league free agent last winter. The 29-year-old bounced from the Rangers to the Blue Jays to the Nationals in recent years before hooking on with New York. He started the season in Triple-A Scranton, as expected, then received his first big league call-up in late May. Bleier had been a starting pitcher pretty much his entire career, and that was his role early in the season with the RailRiders, but the Yankees needed him in relief. Joe Girardi used Bleier as kind of a Swiss Army reliever. He was used as a left-on-left matchup guy, as a one-inning reliever, or as a multi-inning mop-up man. Bleier faced as few as one and as many as 14 batters during his 23 total appearances with the Yankees. Believe it or not, the first of Bleier’s two stints in New York lasted nearly three months. He was called up on May 26th and not sent down until August 9th. That’s a span of 66 team games. And in those 66 team games, Bleier made only 16 appearances. That’s a pace of 39 appearances per 162 games. So yeah, Bleier was a very rarely used low leverage reliever. In those 16 appearances he had a 3.38 ERA (2.70 FIP) in a whopping 13.1 innings. The Yankees sent Bleier down in August to get stretched back before bringing him back when rosters expanded in September. He actually had to wait until September 9th to come back. Bleier wasn’t among the first wave of call-ups. The southpaw’s best outing of the season came on September 12th, when he hurled four scoreless and hitless innings of relief against the Dodgers. No video of this performance exists, so you have to take my word for it. Bleier closed out his season with a scoreless September, and towards the end of the year he seemed to work his way into the Circle of Trust™. Four of his final five appearances came in close games. Bleier finished the season with a 1.96 ERA (2.67 FIP) in 23 innings, and as per the finesse lefty rulebook, he had a low strikeout rate (14.1%), a low walk rate (4.4%), and a high ground ball rate (54.1%). Bleier is still on the 40-man roster, and while I would never say a soon-to-be 30-year-old journeyman’s spot is safe, he’s not at the front of the DFA line either. The Yankees had a little 2009 reunion going on for a while in Scranton. The team signed Nick Swisher as a backup backup (backup?) first baseman and stashed him in Triple-A for a while, and, in late April, they also brought in Phil Coke and sent him to Scranton too. Coke was pitching in an independent league at the time and the Yankees were already running short on pitching depth, so the veteran lefty plugged a hole. Coke, now 34, made two appearances with the RailRiders before the Yankees decided to call him up when CC Sabathia went down with his groin injury. Coke made three relief appearances with the big league team, allowed five runs (four earned) on seven hits and four walks in six innings, and struck out only one. He did give up one home run, but sadly it was a line drive, so Coke didn’t point up like it was a routine fly ball. Would have liked to have seen that for old time’s sake. Your browser does not support iframes. The Yankees dropped Coke from the roster after that game and he spent almost the entire rest of the season in Triple-A. He was pretty good for the RailRiders, pitching to a 2.96 ERA (2.97 FIP) in 70 innings spread across eleven starts and nine relief appearances. Coke tossed two perfect innings in Scranton’s win in the Triple-A Championship Game. Believe it or not, one team was so impressed by Coke’s work this season that they actually traded for him in September. Following the Triple-A title game, the Yankees sent him to the Pirates in a cash trade. Coke threw four scoreless innings in three games with Pittsburgh. He became a free agent after the season, and apparently Coke recently signed with the Orix Buffaloes in Japan. Can’t say I expected to write a Phil Coke review blurb this season, but here we are. Olson, 27, is best known as the other guy the Yankees received in the Ronald Torreyes trade with the Dodgers. It was Torreyes and Olson for Rob Segedin. Olson has a classic lefty specialist skill set, right down to the mid-80s fastball and funky delivery, yet the Yankees had him open the season in the Triple-A Scranton rotation. Weird move, but whatever, it’s Triple-A. Who cares. Getting Olson stretched out came in handy in mid-April, when he was called up to the big leagues to serve as an extra mop-up man. In his only appearance with the Yankees, Olson allowed two runs in 2.2 innings against the Mariners, the team that originally drafted and developed him. The Yankees lost the game by six runs. They sent Olson back down to Triple-A immediately, then eventually designated him for assignment in June. He went from the Yankees to the Royals to the Indians on waivers, but alas, Cleveland didn’t call him up in September. No AL championship ring for Olson. Womp womp. Olson was designated for assignment to clear a roster spot for Swarzak, who the Yankees signed to a minor league contract last offseason. The 31-year-old right-hander had a 3.86 ERA (2.96 FIP) in 46.2 innings with the RailRiders. He was called up to serve as the team’s veteran innings eating low-leverage reliever, or so we thought. Swarzak’s first few weeks in pinstripes were fine (two runs in 7.1 innings), and in hindsight, that’s probably the worst thing that could have happened. Girardi started to give him some more responsibility and it cost the Yankees games. Swarzak made ten appearances from June 22nd through July 30th, and he allowed at least one run in seven of those ten appearances. Oy vey. In mid-August, when the Yankees were making a spirited run towards a postseason spot, Swarzak played a major role in two crushing losses. On August 16th, he allowed four runs in two-thirds of an innings against the Blue Jays to help the Yankees blow a 6-0 lead. Your browser does not support iframes. Can’t help but wonder how that game would have turned out had the lengthy rain delay not forced Michael Pineda from the game after five scoreless innings and only 68 pitches. But still, maybe get more than two outs before allowing four runs with a 6-0 lead? Because that wasn’t bad enough, Girardi called on Swarzak to help protect a two-run lead against the Mariners on August 22nd. There were two outs in the inning, but Seattle had runners on second and third with the powerful Mike Zunino at the plate. He hammered Swarzak’s sixth pitch of the night out of the park for a go-ahead three-run home run. The Yankees went on to lose the game. Your browser does not support iframes. After the game, Girardi said he went to Swarzak in that spot because he “liked his slider,” which I’m pretty sure is a sentence never uttered before or since about Swarzak. Baseball is a team sport and no loss can ever truly be blamed on one player, but yeah, Swarzak really blew those games. In fact, his performance in the Seattle game was the team’s eighth costliest pitching appearance of the season in terms of WPA. That’s out 645 total pitching appearances by the Yankees in 2016. The Yankees placed Swarzak on the disabled list with a shoulder issue following that game against the Mariners. He remained sidelined close to a month before returning in late September. Swarzak appeared in just one more game the rest of the season, tossing two scoreless mop-up innings against the Orioles in Game 160. He finished the season with a 5.52 ERA (6.11 FIP) in 26 games and 31 innings in pinstripes. Swarzak elected free agency after being removed from the 40-man roster after the season. Let us never speak of this again. Now that the All-Star break has arrived, it’s time to review the first half of the season. We’ve already looked at the catchers, infielders, outfielders, bench, rotation, and bullpen. Now let’s tackle the role players. As always, the Yankees have had to dip into their farm system for help at times this season. That’s mostly the result of injuries. Sometimes they called up a legitimate prospect and gave him a chance, like Rob Refsnyder, and other times they brought in a journeyman veteran to plug a short-term hole. Either way, they were all Yankees. Let’s review the spare parts. Over the winter the Yankees looked at their rotation and bullpen depth, and decided to rob Peter to pay Paul. They traded reliable setup man Justin Wilson to the Tigers for two Triple-A starters because they figured they had enough bullpen arms, but not nearly enough starters. Starters under control beyond 2017, especially. One of those two Triple-A starters is Green, who has spent the majority of the season with Triple-A Scranton, where he’s been dominant. Detroit’s 11th round pick in 2013 currently leads the International League in ERA (1.54 ERA) and FIP (2.18), and that performance has earned him three big league starts. One went well. Two didn’t. Seven homers in 14.1 innings is really bad! Left-handed hitters have hit five of the seven homers, which makes sense because Green hasn’t really shown a reliable changeup yet. He did add a cutter while in Triple-A between his first and second starts, which is promising, though clearly the Indians had no trouble with it last week. Green did throw one perfect relief inning with the Yankees in mid-June, so right now he has a career 7.04 ERA (7.09 FIP) in 15.1 innings. Surely he’s looking to improve those numbers, and my guess is he’ll get multiple chances to do so in the second half. 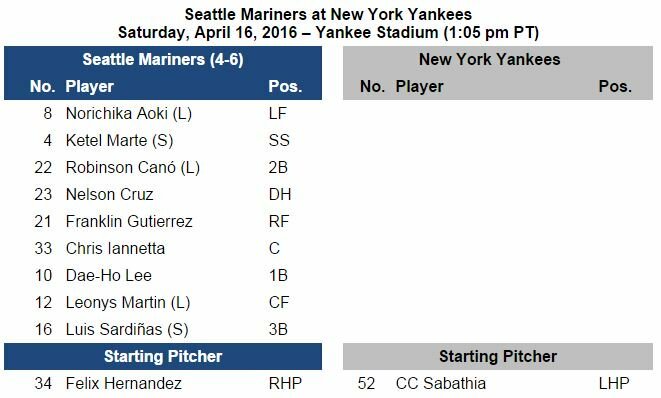 Green seems to have climbed to sixth in the rotation depth chart, ahead of Nathan Eovaldi and Luis Severino. How about that? Second Half Outlook: If the Yankees do sell at the deadline, I could see them giving Green an extended look as a starter in the second half. There’s really no reason to keep running impending free agent Ivan Nova out there in the second half if they’re out of the race. More than likely Green will go up and down a few more times and be the team’s sixth starter, giving the regular rotation members extra rest. Jacob Lindgren: Stopped throwing strikes, then went down with an elbow injury. Bryan Mitchell: Managed to break his toe covering first base in Spring Training. Branden Pinder: Needed Tommy John surgery in April. Nick Rumbelow: Needed Tommy John surgery in April. The hope was one or two of those guys would step up and become a permanent piece of the bullpen. Instead, they’ve combined for one big league inning (by Pinder) this season. Baseball, man. Goody is the last young shuttle reliever standing. He started the season in Triple-A but has had a few stints with the big league team, throwing a total of 22 innings across 19 games. Goody has a 4.91 ERA (4.59 FIP) in those 22 innings, and he’s been alarmingly home run prone (2.05 HR/9). His strikeout (27.4%) and walk (5.3%) numbers are great! But there’s more to life than that. Not a good year to be a young reliever with the Yankees. Second Half Outlook: Goody is actually on the big league roster right now. He was called up when Green was sent down following his start in Cleveland. Something tells me Goody is going to end up back in Scranton at some point. Then back in New York. Then Scranton. Then New York. You get the point. He’s the very definition of a spare up-and-down arm. At one point in the first half the Yankees had their Plan A (Mark Teixeira), Plan B (Greg Bird), and Plan C (Dustin Ackley) first basemen on the DL. Plan D turned out to be Refsnyder, who basically had an afternoon of prep work at the position before being thrown into game action. The Yankees didn’t want to overwhelm Refsnyder, so a few days after Teixeira’s injury, they called up Plan E: Chris Parmelee. The very next night Parmelee singled in a run in the fifth inning to tie the game against the Angels. No one expected Parmelee to keep hitting like that, but hey, he gave the team a nice little shot in the arm. You need those out-of-nowhere contributions to contend. The Yankees are not allowed to have nice things though. A few innings after that game-tying single, Parmelee popped his hamstring while stretching for a throw at first base. He suffered a Grade II strain and will be out two months or so. Just like that, Refsnyder was the first baseman again. Plans A, B, C, and E at first base were hurt. To replace Parmelee, the Yankees signed Ike Davis (Plan F) after he opted out of his minor league deal with the Rangers, and he didn’t even go to Scranton. The Yankees added him to the MLB roster right away. Davis appeared in eight games with the Yankees, went 3-for-14 (.214), then was designated for assignment when Teixeira came off the DL. Davis is currently with Scranton waiting for Teixeira’s next injury. Second Half Outlook: Parmelee was slated to begin baseball activities a week or two ago and is still a few weeks from returning. The Yankees don’t really have anywhere to play him right now, not unless they trade Teixeira or Carlos Beltran at the deadline. Neither Parmelee nor Davis have much of a role with the Yankees going forward. They’re just injury fill-ins. Parmelee had a memorable moment in pinstripes. Davis … not so much. There are still nine players who played for the Yankees this season that we have not yet covered as part of this crash course midseason review. Let’s wrap up the big league portion of the midseason review with one sentence on each of those nine players. Sound good? Good. RHP Johnny Barbato: For a while it looked like Barbato would stick as a middle reliever, but the bloom came off the rose and he’s now in Scranton. LHP Richard Bleier: The 29-year-old rookie has not only appeared in ten games with the Yankees, he’s still on the roster! LHP Phil Coke: Sure, why the hell not? RHP Luis Cessa: Cessa made the Opening Day roster and keeps going back and forth between big league reliever and Triple-A starter. OF Ben Gamel: His hair is pretty great and pushes the limits of team regulations. RHP Conor Mullee: The three-time major elbow surgery guy got affordable health care for life this year, so that’s cool. LHP Tyler Olson: Olson appeared in one game with the Yankees, then was lost on waivers. RHP Anthony Swarzak: It’s literally Anthony Swarzak. Second Half Outlook: Sanchez definitely has a future with the Yankees. He’s the long-term plan behind the plate. Barbato, Cessa, Gamel, and Mullee might have roles with the team going forward too. We’ll see them again in September, if not earlier. Everyone else? They’ll be gone soon enough. The Royals have claimed left-hander Tyler Olson off waivers from the Yankees, the team announced. He was optioned to their Triple-A affiliate. The Yankees designated Olson for assignment the other day to clear a 40-man roster spot for Anthony Swarzak. Olson, 26, came over from the Dodgers in a minor trade over the winter. He’s spent most of the season with Triple-A Scranton, where he had a 5.27 ERA (3.59 FIP) in 27.1 innings with the RailRiders. Olson had two separate stints with the Yankees but only appeared in one game, allowing two runs in 2.2 innings. The Yankees are fairly deep in left-handed relievers, though most of them are hurt. Chasen Shreve, Jacob Lindgren, James Pazos, and Phil Coke are all on the DL. Of course, Andrew Miller and Aroldis Chapman are healthy, plus Richard Bleier is on the roster as well. Olson was completely expendable. It has been a very pleasant day in New York. A little cloudy but it’s on the cool side. Pretty sweet weather. Tonight’s game will begin at 7:05pm ET and you can watch on WPIX. Enjoy the game. Roster Move: The Yankees have called up Anthony Swarzak and sent down Luis Cessa, the team announced. Cessa hasn’t pitched much at all these last three weeks and that can’t continue. He needs innings. That’s all that move is about. Tyler Olson was designated for assignment to clear a 40-man spot for Swarzak. Injury Updates: Mark Teixeira (knee) will attempt to rehab his injury. He’s going to need surgery eventually, but he wants to try to put it off. The hope is Teixeira will be able to return to game action in three weeks … Chasen Shreve (shoulder) threw 20 fastballs off a mound today and felt fine. He’ll throw again in two days, and if that goes well, Shreve could begin a rehab assignment shortly thereafter. All-Star Voting Update: The second update of the fan voting for the All-Star Game starters was released today. Brian McCann is third among catchers behind Sal Perez and Matt Wieters — he was second last week, but dropped behind Wieters — and Beltran 11th among outfielders. Here’s the full update and here’s the ballot if you wish to vote. The ten-game homestand has gone about as well as we could have reasonably hoped so far. The Yankees took two of three from the Red Sox and three of four (!) from the Royals, and now they get three with the White Sox, who look totally legit as a contender. Lots of teams get off to hot starts and fizzle. I think the ChiSox are for real. The pitching is great and the infield upgrades they made over the winter are massive, especially defensively. It has been raining in New York for much of the afternoon but it stopped just a few minutes ago. The forecast says there’s no more wet stuff coming tonight, so the game will begin on time. The game is scheduled to begin at 7:05pm ET and you can watch on YES locally and MLB Network nationally. Enjoy. Injury Updates: CC Sabathia (groin) threw a bullpen today. It was his first time throwing off a mound since being placed on the DL … Jacoby Ellsbury (hip) is progressing and remains on track to return sometime this weekend. My guess is Sunday is the earliest we’ll see him. Roster Move: Lefty Tyler Olson was send down to Triple-A to get Sanchez on the roster, the Yankees announced. They’re back to a seven-man bullpen and a four-man bench, though it’s really a three-man bench with Ellsbury banged up. It’s another really nice day in New York. Just a few clouds and a nice breeze. Pretty good night to spend outside. Tonight’s game will begin at 7:05pm ET and you can watch on YES locally and MLB Network nationally. Enjoy. Injury Updates: Alex Rodriguez (hamstring) did some light running and hit off a tee. He’s eligible to be activated one week from today … Jacoby Ellsbury (hip) is still on track to return this weekend. Roster Move: Lefty Tyler Olson was called up and outfielder Ben Gamel was sent down today, the Yankees announced. Olson, who last pitched Saturday (45 pitches), will take over as the long man on a temporary basis following Phil Coke’s extended outing last night. The Yankees did a lot of good offensively last night, namely putting 13 men on base, but the big hit never came and they were held to one stupid little run. After scoring 27 runs in the first three games of 2016, the Bombers have scored only 16 runs in the six games since. Eight of those 16 came in one game. The weather in New York today is pretty fantastic. It’s maybe a little on the cool side, but it’s sunny as hell and there are no clouds in the sky. Picture perfect. Today’s game will begin at 1:05pm ET and you can watch on YES locally and MLB Network if you’re out of market. Enjoy. Shuttle Update: As expected, Tyler Olson was sent back down to Triple-A Scranton following last night’s 47-pitch effort. Branden Pinder has been called up for the first of what figures to be many times this season. Pinder last pitched Wednesday, when he threw 48 pitches across three innings. YES Update: FOX regional sports affiliates, including YES, can now be streamed on Sling TV. It’s $20 a month — there’s a free seven-day trial — so it’s not free, but it’s not too pricey either. You will be able to stream Yankees games on YES, even if you’re in-market and a currently dealing with the Comcast nonsense. Here’s the Sling TV link.